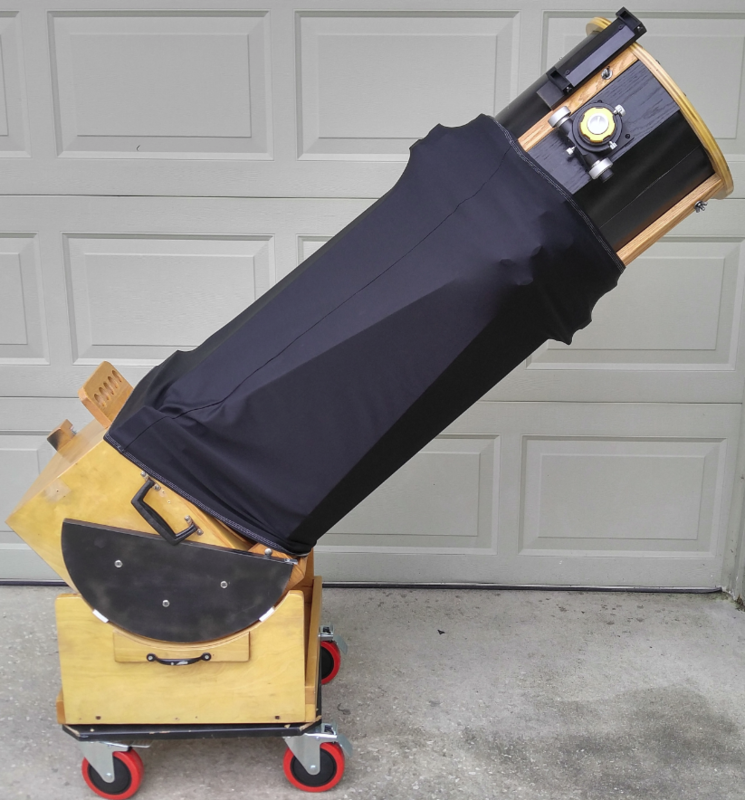 Up for sale is a custom 13.1" Truss Telescope. 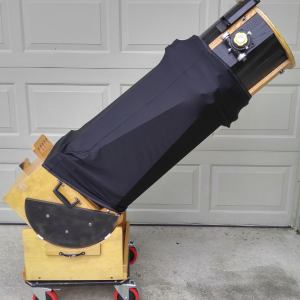 This was an ATM project I purchased from cloudynights, and am selling as I have upgraded to a larger scope. The optics are a 13.1" f/4.5 Coulter primary that was sent by the original owner to be refigured by Steve Swayze of www.swayzeoptical.com fame. Gives good views, especially with coma corrector. Mirror is 1 in thick. Focuser is a GSO 2" linear bearing focuser, with William Optics Rotolock adapter. Comes with Telrad base attached and Telrad finder. Comes with *basic* 20mm and 9mm plossl eyepieces. EP is 63 inches tall at zenith. Base has four casters that lock, making transporting this beast a breeze. Construction is plywood and hardwood. This is by no means an obsession level scope, but is a basic and affordable scope that would be great for someone looking for more aperture for less money. The azimuth is smooth, teflon on formica, same for altitude, with springs used for altitude friction and balance. There are two springs, one for higher altitude and one for lower altitude configurations. I will not ship this, local pickup in Central Florida/Orlando area only.